Protean Interactive is focused on the creation, renewal, and development of web-based software solutions to help organizations differentiate and excel. We offer a full range of services including mobile and responsive design, UI/UX design, certified Umbraco CMS development and custom software development. Intuitive and purpose-driven responsive interface design solutions combined with sound technology delivers positive online brand experiences. Protean crafts user experiences that are inventive, and intuitive. Whether it is a website, online software solution, Content Management System or email campaign, all are built on sound technology and deliver a digital experience that engages the user and reinforces the brand platform. Umbraco is a fully-featured open source content management system with the flexibility to run anything from small campaigns or brochure sites right through to complex applications for Fortune 500’s and some of the largest media sites in the world. We are proud to be an Umbraco Level 2 certified developer. This amazing CMS gives you the unlimited flexibility and power to scale, continually update functionality and have complete control over user experience. There is nothing that Umbraco can’t do and we can help your organization unleash it’s potential. 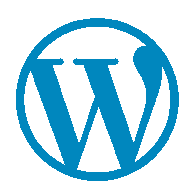 Over 60 million people have chosen WordPress to power their blogs and websites and it continues to be one of the fastest growing Content Management Systems available due to it’s “do-it-yourself” mantra. The core software is built by hundreds of community volunteers, and there are thousands of plugins and themes available to transform your site into almost anything you can imagine. We offer custom development solutions that can streamline your business processes ultimately saving you time and money. From specialized financial calculators to document ingestion services, we will tailor a solution that fits your needs and budget. Protean offers on and offsite consulting services depending on your unique requirements. Protean offers dedicated and shared hosting solutions on Windows and LAMP stacks at competitive prices. Please fill out the form below and we will respond promptly. Thanks!